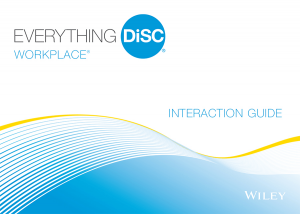 Release the power of Everything DiSC — learn about becoming a Certified Everything DiSC Workplace Facilitator! 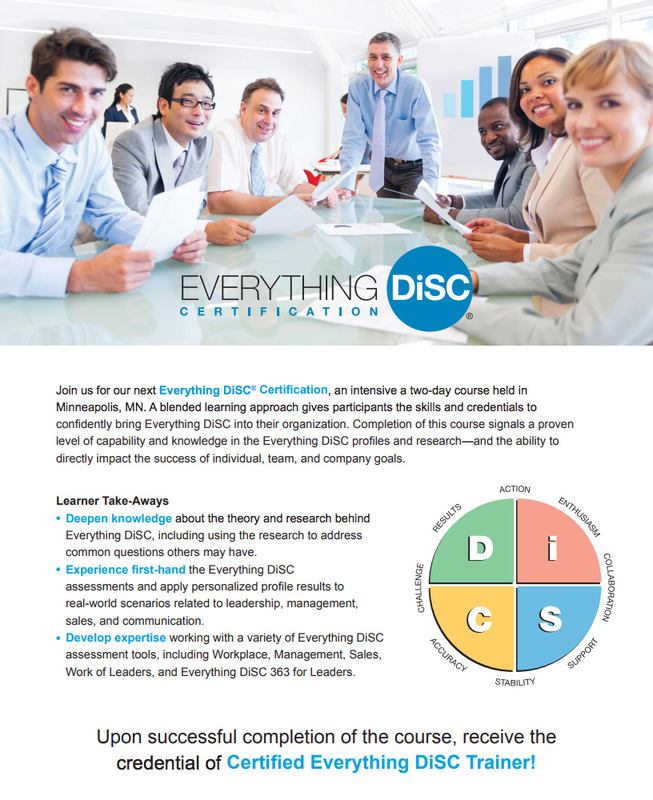 To fully understand the DiSC model, register for a comprehensive two-day course held in Minneapolis, MN. 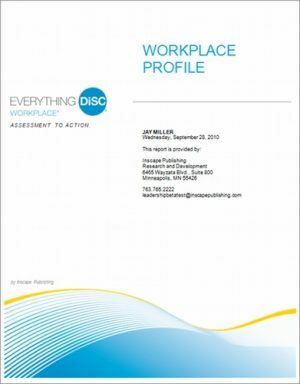 Using a blended learning approach participants receive the skills and credentials to confidently bring Everything DiSC into their organization. Completion of this course signals a proven level of capability and knowledge in the Everything DiSC profiles and research. 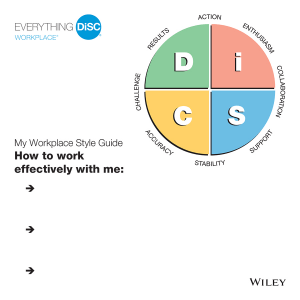 NOTE: Everything DiSC Workplace® Facilitation Kit is a prerequisite and is sold separately here. Email or call to find out details today.